Navigators log : Star day 247. We have reached the 2/3 mark – 4 months to go. To date we have visited 16 countries and crossed 23 borders (if you count Kaliningrad it’s 17 countries and 24 borders!!) We have driven 12, 172 miles – Iain has driven about 11,500 and the rest are mine :). Next stop mainland Scandinavia and we had two ways to reach Sweden, ferry or bridge – of course we went for the bridge :). 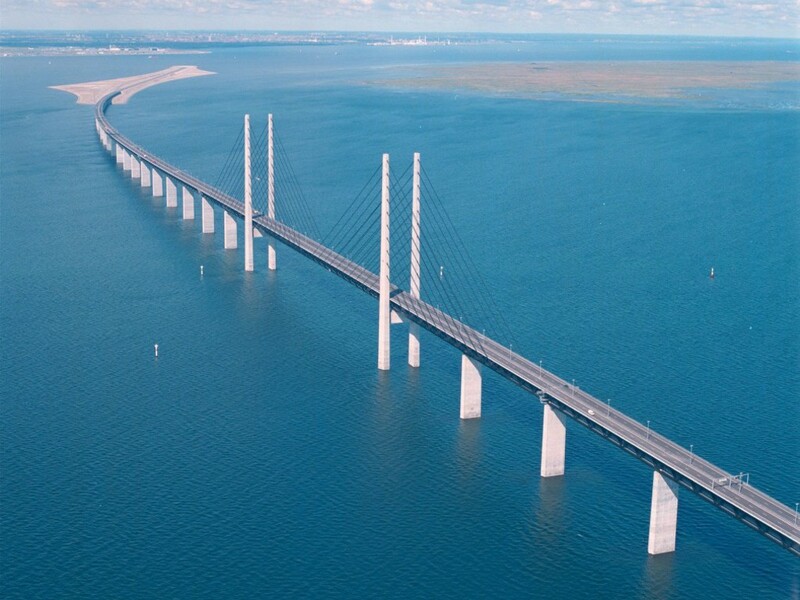 This time it was the combined Oresund bridge and tunnel, leaving Denmark via a 4 km (2.5 mile) tunnel to an artificial island that lies in the middle of the strait, then onto the bridge itself for a further 8 km (5 miles) over the sea, It is the longest combined road / rail bridge in Europe. 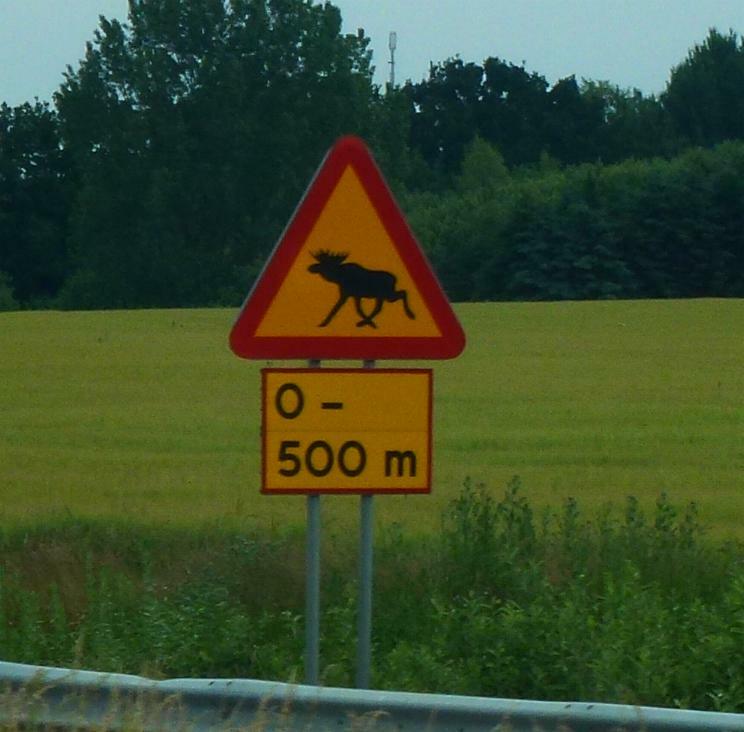 Within 10 miles we had ticked off nearly all the Swedish icons – IKEA, a couple of Volvos and several SAAB, golf courses galore, more white haired people than the Midwich cuckoos; all we need now is to spot one of ABBA and we have a full set. The other thing we noticed was the amount of ‘big rigs’ on the road, lots of chrome, spot lights galore and super shinny paint jobs. First stop Angelholm, a small seaside town that is most famous for the Koenigsegg cars which are built on the former airbase in the town. We found a good if strange stopover, 20 big camping places with a road running through the centre to the next village. The beach was glorious, every last inch of sand taken by Swedes out to enjoy the sunshine. Surprisingly the water wasn’t as cold as we though for this far North, plenty of people in swimming but I made do with a paddle to the knees. We arrived without a Swedish Krona to our names and the campsite didn’t accept Euro, hence Iain drew the short straw to cycle the 4 mile round trip to an ATM in 34 degree heat, whilst I concentrated on our latest mountain of washing. Our plan, we had one this week, was to shoot through Sweden in a few days and then come back and explore in more detail in a few weeks. To that end we took a long days driving up the coast, through Gothenburg and out to the islands to the for a stopover. 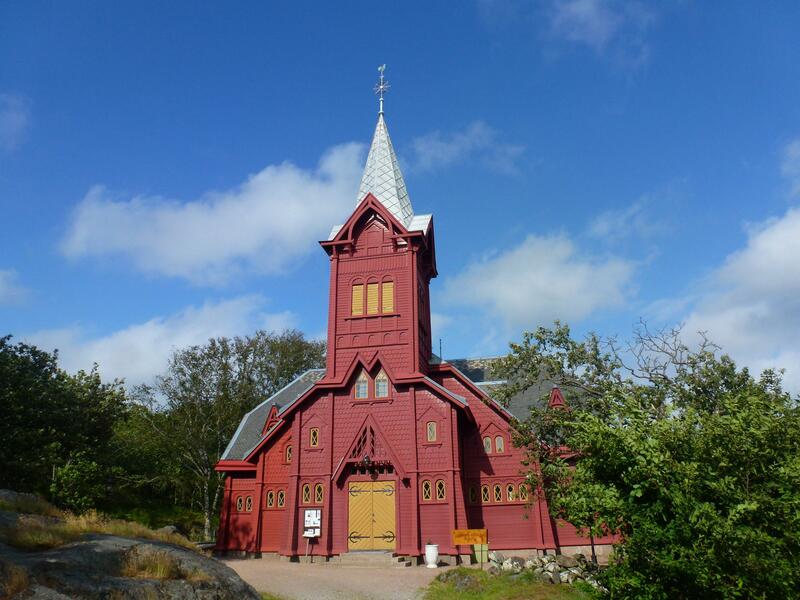 We happened across the village of Halleviksstrand – the image of how, to us, a classic Swedish village should look. 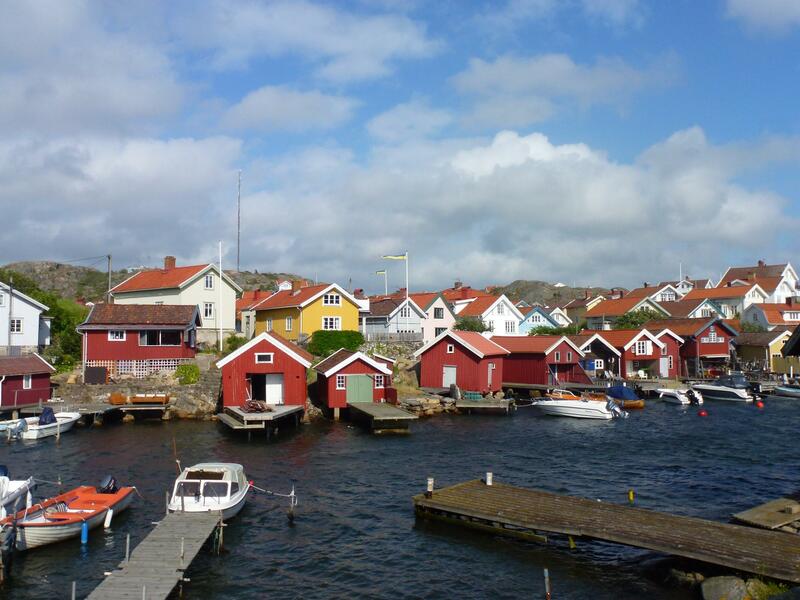 Plenty of rust-red (Falu) wooden houses with bright white fences and windows, numerous jetties running out into the fjord and the people all blonde, willowy and wearing primary colours whilst the sun shines and the wind whips around you. The Swedes have a right to camp or stay anywhere as long as you have asked the owner. We found a small car-park a mile out of the village next to the wooden church, known as one of the finest in the region. No-one around to ask but we parked up in the corner and were joined by a German camper a little later for a peaceful night. 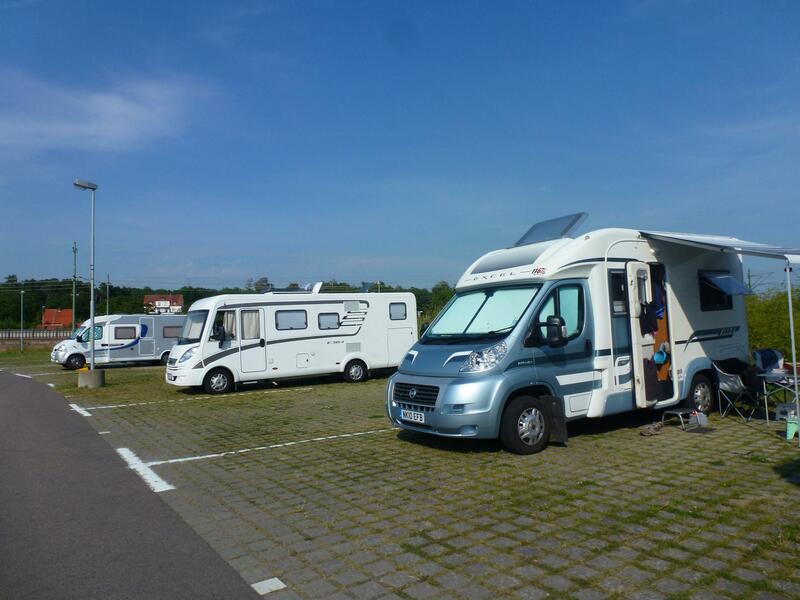 At our last planned stop in Sweden, Stromstad just before the border we found all the missing motor-homes and caravans from through out our travels. Thousands of them on massive camp-sites along the coast around the town. In town itself were four big marinas all busy with the summer sailors and the omnipresent Chilean panpipes players. We were pointed in the direction of a large car-park on the edge of town where we stopped to get a few jobs done, Iain found a small foundry and got the table bracket re-welded (we have a table again), we also did our final big shop, being prepared for prices to quadruple in Norway. The weather has turned dramatically, massive thunder storms last night and torrential rain – the air has cleared and its due to be clear for the rest of the week so fingers crossed for some great fjord views coming up.